I don't think I'll bother with this particular venue again. It's the second time I've been there to watch a Burnley team and on the previous occasion we were beaten 5-0 on a bitterly cold night in a Premier League reserve league fixture in 2010, a game only remembered for Joey Gudjonsson playing, and I use the word playing very loosely indeed, in a hat. We fell behind in only the third minute when goalkeeper Connor King couldn't quite get to a shot and when a long ranger effort flew past him sixteen minutes later the writing was on the wall. Things got worse just after the half hour with two goals in five minutes, the first of them a deflected effort and the other a well worked move that should, in the end, have been cut out long before they got their shot on goal. With a scoreline of 4-0 some nine minutes before half time you wondered just what the score might be with our only two efforts being a Miles Fenton shot just over the bar and a Josh Dolling, who is back from his loan at Trafford, header going straight to the home goalkeeper. There weren't many Burnley supporters witnessing it but two, and I have to say two long time regulars at youth games, had had enough by half time. With the somewhat cooler temperatures in the stand they decided to spend the rest of the day elsewhere. What they missed was a quieter affair in the second half with neither side able to score a goal. You always sensed Wigan were by far the more likely but they seemed content with the lead and the only real threat from us came with a powerful shot from substitute Tinashe Chakwana (pictured) which the goalkeeper did well to tip over. This really was a disappointing performance from a youth team that has won just twice in the league this season, those wins coming against perennial strugglers Morecambe and Rochdale who are having a difficult season so far themselves. 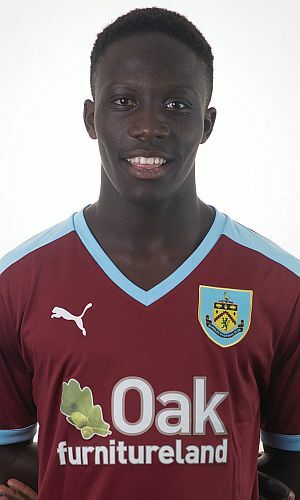 The Burnley team was: Connor King, Billy Grogan (Clarke 62), Shaun Hobson, Lewis Norvock, Andy Nugent, Tristen Jumeau, Mark Howarth, Miles Fenton, Tyler Shrimpton, Josh Dolling, Tommy Wood (Tinashe Chakwana 62). Sub not used: Tony Aghayere.